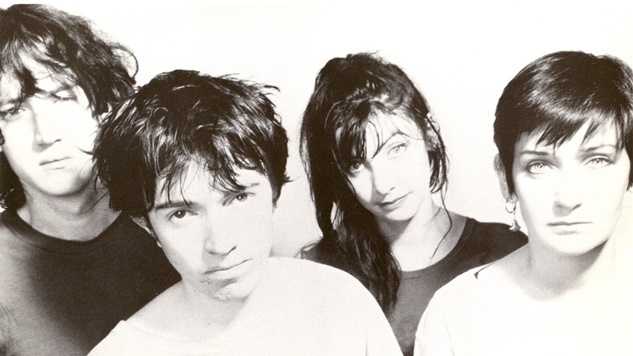 My Bloody Valentine are on tour for the first time in five years after announcing the upcoming release of two new EPs, the first of which is set to arrive this summer on an unspecified date. On Friday, the shoegaze rockers played their first show in Birmingham, Alabama. The band then hit the Robert Smith-curated Meltdown Music festival in London on Saturday and debuted a brand new song. They worked the untitled track (the band’s setlist simply refers to it as “New Song 1”) in between MBV classics like “I Only Said,” “When You Sleep” and “Only Shallow.” It’s punchy and fast-paced, and you can listen to a less-than-ideal recording below, along with fan footage tracked down by Stereogum. The as-of-now-unnamed EPs will serve as the follow-up to 2017’s m b v. The band is due to play a few more international festivals before making their way to the States for a slew of shows in July.